President Obama recently took a short stroll from the White House and through Lafayette Park to give a speech in what might be termed enemy territory – the U.S. Chamber of Commerce. The subject was jobs and what the Chamber can do to jump start hiring by the companies that form its membership. Noting that American companies are sitting on approximately $2 trillion in cash, the president challenged the Chamber to invest some of that money by hiring Americans who are out of work. The president’s remarks came on a day when several Illinois firms warned that they are planning to lay off employees or close facilities. For example, Kmart is planning to close several stores in Illinois. Gold Standard Baking, Inc., will close a commercial bakery in Chicago, slashing 73 jobs. Another 67 employees are likely to be laid off at Itasca-based C. D. Listening Bar Inc., which sells DVDs, CDs, books and video games online at DeepDiscount.com. AGI North America, LLC, a paperboard box manufacturing company in Jacksonville, is closing at the end of March, putting 70 employees out of work. Gray Interplant Systems, Inc. – a warehousing and storage company in Peoria and Mossville – is planning to lay off 167 employees in April. So why are American companies not hiring – or not hiring on their home turf? According to the Chamber’s Donohue, it’s a variety of reasons, including new regulations contained in the Patient Protection and Affordable Care Act and the Dodd-Frank financial reform bill. Additionally, companies are holding onto their cash to fund future acquisitions. Consolidation makes new regulatory burdens easier to bear. Once companies’ regulatory costs are clear and under control, they can begin hiring, he said. Finally, demand remains relatively low. Once spending improves, the Chamber believes that companies will have no choice but to invest in additional personnel to meet that demand. As consumer and business spending grows, so should jobs. And, the jobs are going elsewhere. The Economic Policy Institute, a Washington think tank, says American companies created 1.4 million jobs abroad in 2010, compared with less than 1 million in the United States. The additional 1.4 million jobs would have cut the unemployment rate to 8.9 percent, according to Robert Scott, the institute’s senior international economist. Sloppy foreclosure paperwork could upset the nation’s housing market and destabilize the economy in general, according to a report released by the Congressional Oversight Panel. This group oversees the government bailout and its statement marks the first time a federal watchdog has issued an opinion on the foreclosure issue. Consumer advocates and financial analysts had previously raised the issue, noting that although the consequences of the foreclosure mess are unclear. The situation has the potential to impact mortgages that are not in trouble but were securitized and sold to investors. “Everyone’s very nervous about what’s going to happen,” said an anonymous industry source. “We have all hands on deck.” Some lawmakers want to revisit legislation that would allow bankruptcy judges to order lenders to reduce the principal the homeowner owes. 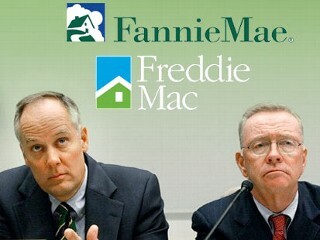 Others favor allowing big banks to spin off their mortgage-servicing operations to avoid conflicts of interest. “The risk is small that a bill gets through, but we are taking it very seriously,” said another unidentified financial lobbyist. The dilemma became apparent in recent months as Ally Financial, Bank of America and JPMorgan Chase halted foreclosures as it became clear that many were based on flawed documentation. The oversight panel also voiced concerns that investors who bought the securitized mortgages could file lawsuits that ultimately might cost banks billions of dollars. At the same time, the panel said the Treasury Department’s claims that the mortgage situation poses slight systemic risk to the financial system are premature. “Clear and uncontested property rights are the foundation of the housing market. If those rights fall into question, that foundation could collapse,” according to the report, which also recommended that the Treasury and Federal Reserve conduct new stress tests on Wall Street banks to gauge their ability to cope with any new upheavals. 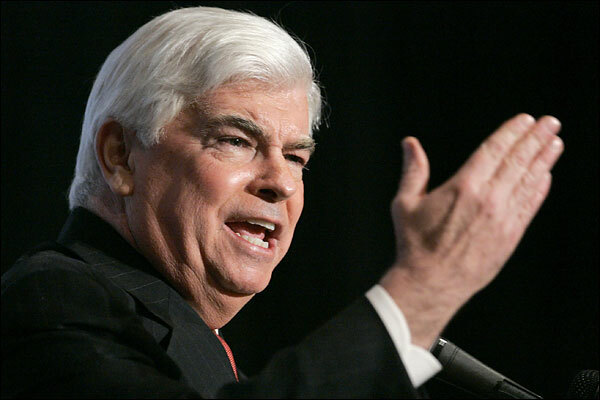 Senator Christopher Dodd (D-CT), chairman of the Senate Banking Committee, introduced revised legislation to regulate the nation’s financial system. The plan would create a nine-member council, led by the Treasury secretary, to be on the alert for systemic risks, and direct the Federal Reserve to oversee the nation’s largest and most interconnected financial institutions. The bill, which would be the most comprehensive change in financial rules since the Depression, would preserve much of the existing regulatory system, which has been criticized as being too disjointed. Additionally, it would rely on a new mechanism for seizing and liquidating large financial companies on the verge of failure. This would reduce, but not eliminate, the possibility of future bailouts. The legislation incorporates a version of the Volcker Rule, a proposal from former Federal Reserve Chairman Paul Volcker that would make certain that legislators ban banks from investing in or owning hedge and private-equity funds. Republicans and Wall Street strongly object to that idea. Dodd’s legislation takes a fairly tough line with financial firms in general. The proposed consumer protection agency would be given the authority to write and enforce rules for banks with more than $10 billion in assets. The oversight also would apply to mortgage companies, credit card issues and other lenders – a move that Republicans oppose. 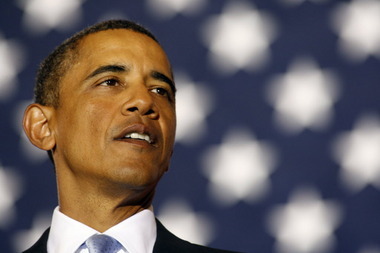 On the first anniversary of the collapse of Lehman Brothers and the onset of the global financial crisis, President Barack Obama used a Wall Street speech to call for stringent new regulation of United States markets. 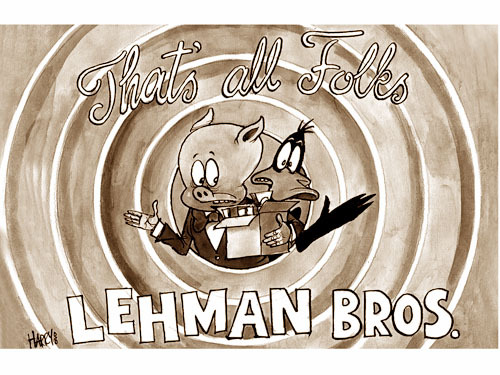 After Lehman’s collapse, the American government infused billions of dollars into the financial system and took major stakes in Wall Street’s most famous names. Although this action stabilized the system, it could not forestall a shrinking economy or the highest unemployment rate in 26 years. Lobbyists, lawmakers and even regulators so far have opposed proposals to more closely monitor the financial system. The five biggest banks – Goldman Sachs, JP Morgan, Wells Fargo, Citigroup and Bank of America – posted second-quarter 2009 profits totaling $13 billion. That is more than twice their profits in the second quarter of 2008 and nearly two-thirds as much as the $20.7 billion they earned in the same timeframe two years ago – a time when the economy was considered strong. Connecticut Senator Christopher Dodd, chairman of the Senate Banking Committee, is the point man for formulating new rules. President Obama wants stricter capital requirements for banks to prevent them from purchasing exotic financial products without keeping adequate cash on hand. It was precisely this type of behavior that caused last year’s financial crisis.